Steve Kouba brings over 20 years of experience in the technology industry with a focus on software and services sales. 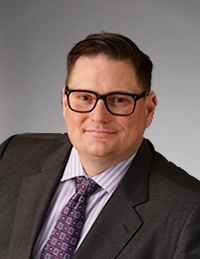 Prior to joining Utopia, Steve spent three years as Vice President of the Central Area Sales team for Avaya Inc. At Avaya, Steve led an organization of more than 225 people spanning 14 states and was responsible for delivering $270 million in annual revenue. Steve also spent 18 years at IBM Corporation where he was a top performing software and technology sales leader. In his last role as business unit executive, Steve led the strategy and growth of five major software brands - Big Data, Business Analytics, Information Management, Rational and Z Series, and was responsible for over $600 million in revenue. Steve started his career at IBM moving up through the ranks which led to leadership roles in Philadelphia, New York and Chicago. On a personal note, Steve is a graduate of University of Wisconsin Madison and resides in Chicago with his wife and son. His outside interests include family, friends and charity. He is also an avid sports fan.